We introduced an exciting new component to our young child health initiative that we hope will help improve the health status of children in Fakir Bagan. During our Growth Monitoring and Promotion (GMP) camp this week, Calcutta Kids carried out routine deworming of preschool age children. We have been discussing this idea for several months now after our data analysis showed a high prevalence of worm infestation in a group of malnourished children enrolled in our nutrition pilot program (YChiNG). At the time, we dewormed the children in the YChiNG program, but realized that there were many more children in our catchment area who could benefit from deworming. We were motivated in part by a Government of India mass deworming campaign in New Delhi earlier this year, which included deworming not only school-age children in government schools, but also pre-school age children in ICDS/Anganwadi (government health) centers. During last month’s GMP in Fakir Bagan, we conducted a survey with mothers of children 1-3 years old, asking them to report if their child had an incidence of intestinal worms in the past 6 months. A resounding 43% of mothers answered yes, which reflected a clear need for an intervention. Intestinal worms, which are pervasive in India, can have devastating effects on a child’s physical and mental growth. In low-income urban areas like Fakir Bagan, where sanitation and hygiene are poor and many children walk around without shoes for protection, the most common type of intestinal worms are soil transmitted helminthes. Once in the body, these parasitic worms feed on host tissues, including blood, leading to a loss of iron and protein. They also hinder the absorption of nutrients. The result is diarrhea, anemia, and malnutrition, all which have a detrimental impact on child health, growth, and development. To counter the negative effects of worms, the WHO recommends periodic drug treatment (deworming) of all children living in endemic areas. (1) Studies have shown that routine deworming of children can have significant positive outcomes on nutrition, growth, and cognitive performance. Apart from the mass campaign in Delhi this year, which followed mass campaigns in Bihar and Andhra Pradesh a few years back, deworming campaigns have not been widely organized in India. 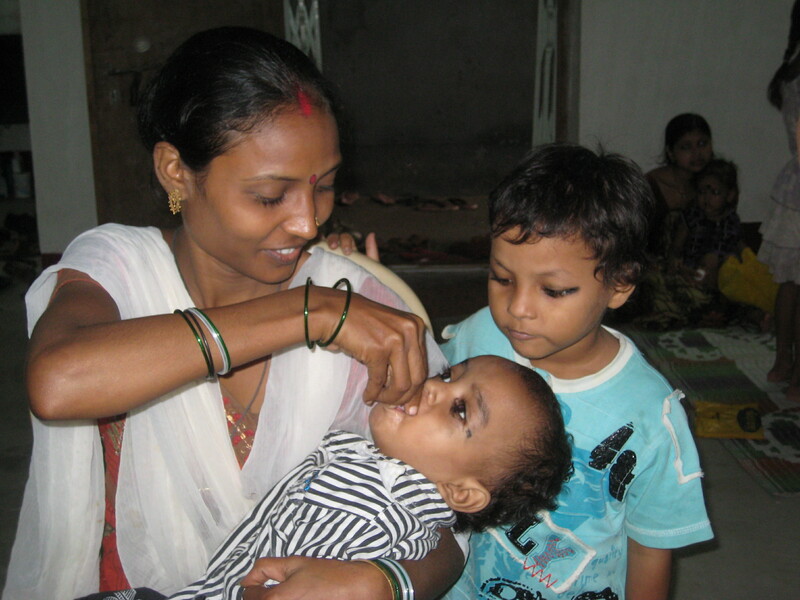 Given that deworming is extremely cost-effective at only a few cents per pill, and provides both short-term and long-term physical and cognitive benefits to a child, India could see great benefits by ramping up state deworming campaigns, which can be effectively carried out through government schools and ICDS/Anganwadi health centers. The WHO includes intestinal worms among “the 17 neglected tropical diseases” which WHO Director General Margaret Chan described as “diseases that are largely silent, as the people affected or at risk have no political voice.”. The WHO launched its “neglected tropical diseases” campaign to raise awareness among policy makers and donors, in hopes of stimulating more action, like deworming campaigns. For Calcutta Kids, this new deworming initiative marks a proactive step to address the “neglected disease” that is most prevalent in our community. During my first summer in Kolkata in 2000 while working at Mother Teresa’s Home for the Dying Destitutes I met Milena Kotys, a social worker from New Jersey. Milena has remained a dear personal friend and is also a close friend to Calcutta Kids. In 2007, Milena’s father Wasyl passed away and a year later to honor her father, Milena started the Kotys Memorial Fund—a permanent endowment in the name of Calcutta Kids to fund our weekly health camp. In 2008, the weekly health camp cost around $5,000 per year to run. And safe investment returns in India are around 10% so Milena set a goal to raise $50,000. Between the establishment of the Fund and 2011, the weekly health camp turned into an outpatient daily clinic with a full time female doctor. The costs therefore increased, but the interest from the Kotys Memorial Fund has substantially helped in covering the operating expenses of the clinic. Milena Kotys with members of the Calcutta Kids team (August 2012). Milena also sang the praises of the community health workers knowing that none of the work we do is possible without them. Pleased with what Calcutta Kids has been able to do with the money she raised in honor of her father, Milena announced that over the next few years, she will raise another $50,000 for the Calcutta Kids endowment—again in honor of her father Wasyl. The third part of our C-section blog series focused on the circumstances leading up to Calcutta Kids’ decision to stop partnering with private clinics for facility based deliveries, and instead (a) offer a Delivery Savings Scheme (DSS) which would provide financial assistance for beneficiaries to deliver wherever they prefer; and (b) up the ante on birth preparedness through a new home counseling curriculum. This week’s blog describes that curriculum, provides data on beneficiaries’ usage rates of the delivery savings scheme, and calls attention to the fact that more community involvement is necessary for the delivery savings program to succeed. What not to worry about: Many women become worried if the gestational age of their child crosses 37 weeks. The CHW’s counsel the women not to worry about this until around 40 weeks at which time they should visit their facility. Preparation: The family is counseled to assure the availability of transportation to the facility regardless of the time of day or night, and to ensure that money is set aside for transport. They are also told what documentation to have ready to take with them to the facility. To C or not to C: Pregnant women and their families are provided with knowledge about C-sections. They are informed of the recognized and accepted indications for C-sections; the potential risks for the mother after a C-section delivery; the potential risks for the mother during her next pregnancy; the immediate risks for the baby during a C-section delivery; and the potential long term risks for a C-section-delivered child. The CK staff has gone through an intensive training focusing on these themes. (You can see these materials in the resources section of our website or you can click here for the Labor and Delivery Educational Session and here for the C-Section Education Session.) They also have received refresher training on the labor and delivery process, fetal development, and complications that can occur during labor. And they are equipped with flip charts and other materials to facilitate their home-based counseling with pregnant women. Of the 45 who delivered, 2 had miscarriages; 29 had normal deliveries, and 14 had c-sections. Of the 45 who delivered, 24 took place in private facilities and 19 took place in public facilities. 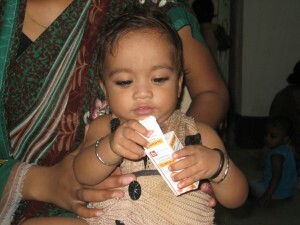 Currently (July 2012) there are 55 pregnant women involved with Calcutta Kids and 21 are participating in the DSS. With a DSS user rate of around 40%, the scheme is not working as well as we would like. And the DSS is not working as a replacement for the services being provided earlier through private facilities. Next week, Calcutta Kids will be holding a number of focus group discussions to try and figure out why it is that more pregnant women are not taking advantage of this scheme. The discussions will be held separately with those who have used the DSS and those who have not. We look forward to sharing what we learn from these discussions in a future blog. From this data, however, some questions arise: Does this experience coupled with the micro insurance experience indicate that families (a) don’t have surplus cash on hand or (b) aren’t willing to use surplus cash for such a purpose or (c) that the men in the family are not willing to set such money aside for this or (d) there a is basic fear (based on the reality that there is a lot of huckstering that goes on in the slum) that they might never see their money again? In 2007, a young man visited Calcutta Kids from abroad. He was interested in exploring why Calcutta Kids at that time was working with the private health sector rather than the government sector. Instead of explaining the deplorable state of government hospitals and going into the gory details of government bureaucracy, I asked the young man if he might like to join me in visiting a nearby government hospital. He agreed and we hopped into a cycle rickshaw and headed for the hospital. Fifteen minutes later, we stepped out of the rickshaw, walked into the hospital, and were greeted by a line of stretchers carrying corpses waiting to be picked up by the morgue. We stood there for a few moments trying to get our bearings. When we moved forward, our guest tripped over a large rat that was scurrying across the floor. The young man told me that he now understood why we worked with private hospitals and clinics. For the most part, our experiences with private clinics and hospitals over the years have been positive ones. Our beneficiaries prefer the private sector as does most of the population of India. And, given the fact that Calcutta Kids was covering the cost of this private hospitalization partially or fully, the beneficiaries were overwhelmingly pleased with this arrangement. Over the years, however, our understanding of both the private and public health sector in India has evolved, and as we recruited more medical staff on our team, we began to seriously question our exclusive partnership with the private sector. Part of the evolution in our thinking resulted from a better understanding of C-sections in our area. The rising cost of C-sections our beneficiaries are paying combined with our understanding of the dangers of unnecessary C-sections frightened the Calcutta Kids team and we began to examine our options carefully. 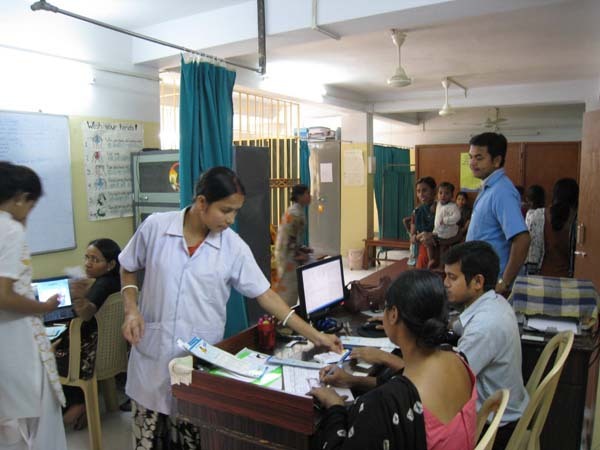 We realized that we were facing two major issues: the first a potential major operational threat to Calcutta Kids; the second an ethical dilemma: Because we have had relationships with particular clinics and were paying the fees for deliveries at these clinics, we were in essence accrediting them; beneficiaries who trusted us throughout their pregnancies were trusting the facilities with which we partnered. This meant, in turn, that if something at these clinics were to go wrong, we would be blamed. Such a situation could create major problems for Calcutta Kids. The ethical dilemma was that since we were paying for the deliveries at these clinics which practiced excessive use of C-sections, we were partially responsible for any deleterious effects of an unnecessary C-section on a mother or child. Was it possible that while we believed we were providing the best possible care for pregnant women and children, we might be exposing them to unnecessary risk? Below is a brief synopsis of our discussions. We could speak with the private sector clinics, encourage them to follow WHO protocols on the appropriate conditions for C-sections, and then request medical reports for each C-section financed by Calcutta Kids. This option was tried without success. After all, C-sections are increasingly the norm, and the clinics did not want to follow a protocol inflicted upon them by an NGO. We could open our own maternity clinic, although at an exorbitant cost. This was never really an option. Our focus is on nutrition, BCC, and preventive care and that is where it should remain. We could encourage our patients to advocate themselves for normal deliveries unless a C-section is clearly warranted. This we also do but with limited success. Rarely will a poor uneducated family go against the advice of a doctor. We could stop paying for C-sections altogether. But what about those rare cases where C-sections are indeed necessary and families cannot afford them? We could partner exclusively with the government hospitals. But this goes against the preference of our beneficiaries. Finding none of these options satisfactory, and recognizing the danger to our beneficiaries and to Calcutta Kids, we ended up terminating our formal partnerships with the private sector. What we put in its place is a delivery savings scheme—a financial incentive to ensure a facility-based delivery. The delivery savings scheme enables women to save money in a safe place and to receive a matched amount from Calcutta Kids of up to 2,000 rupees. The beneficiaries then can choose to spend this money at a private clinic (Rs.4000 will likely cover a normal delivery, but not the full cost of a C-section) or they can go to a government hospital where the delivery will be free and use this savings for postnatal care. Along with the delivery savings scheme, we’ve begun a program of intensive counseling for pregnant women to help assure that they understand all that they need to know about deliveries and can make an educated decision about whether to have a C-section if the doctor recommends one. The rise of C-section rates in many parts of the world has triggered a global debate on the use of C-sections, the ideal rate of C-section, and appropriateness of high rates in certain countries. In 1985 the World Health Organization (WHO) recommended a C-section rate of not more than 10-15%. In 2010, they withdrew that guideline and replaced it with a more general statement that, “There is no empirical evidence for an optimum percentage. 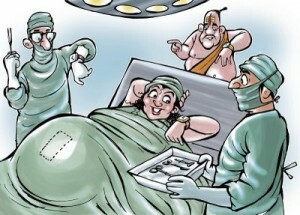 What matters most is that all women who need caesarean sections receive them.” The WHO’s decision to not focus on a universal, evidence-based optimum rate makes sense in light of the difficulties of doing so but, without a specified rate, there is no easy benchmark by which to monitor and interpret the use and potential overuse of c-section deliveries. When clinically indicated for complications during pregnancy or labor, C-sections greatly improve obstetric outcomes, which in turn improve maternal and child health outcomes. In many developing countries, women have inadequate access to emergency obstetric care leading to preventable maternal and perinatal morbidity and mortality. In such settings, it is essential to strengthen health systems and infrastructure to ensure that C-section services are provided when they are medically indicated and could save lives. In populations with excessively high C-section rates, on the other hand, there is growing concern about the health and economic consequences when C-sections are performed for reasons other than medical necessity. A C-section is a major surgical intervention that should be carefully considered in light of associated risks that can increase maternal and perinatal morbidities, which include bleeding, infection, blood clots, and increased need for ICU care. C-sections can also have long-term consequences on child health, including increased risk of developing allergies and asthma. (1) Maternal mortality for women undergoing C-sections is four to ten times higher than for vaginal birth. A multi-country study carried out in Latin America indicated that an increase in rates of caesarean delivery is associated with increased use of antibiotics postpartum, greater severe maternal morbidity and mortality, and higher fetal and neonatal morbidity. (2) Another multi-country study carried out in Asia in 2007-8 showed that there was an increased risk of maternal mortality and severe morbidity in women who undergo C-section with no medical indication. (3) Furthermore, in low-income countries with an unmet need for C-section (where women who need C-sections are not receiving them due to inadequate access to obstetric care), the issue of resource drain is important: If C-sections are restricted to only clinical indications and not performed unnecessarily, resources would not be sapped from other sections of the health system. There is also a large divide between urban and rural areas, and between public and private facilities. West Bengal as a whole has a C-section rate of 19%; the city of Kolkata’s rate is 33.5% while rural Malda District’s is 2.2%. In Kolkata as in most large Indian cities, the C-section rates in private hospitals are much higher (50% and up) than in public hospitals, which average about 12%. (6) This emerging trend is a classic example of inequalities in access to C-sections in developing countries: It means that in poor, rural areas where there is less access to emergency obstetric care, women who medically need C-sections may not be getting them, while women living in urban areas and going to private hospitals are getting C-sections that may be performed unnecessarily, causing unwarranted risk to the mother and baby. How do rising C-section rates affect Calcutta Kids? Our beneficiaries at Calcutta Kids are very much affected by C-section trends in West Bengal, as their deliveries are taking place in government and private hospitals in Howrah. In the past five years, we have witnessed increasing rates of C-section for women who are participating in our program. In a preliminary analysis of data, our C-section delivery rate has increased from 10% in 2007 to 30.4% in 2012. There may be many contributing factors, including an increase in facility-based deliveries from 67% in 2005 to 90% in 2012. However, we are conducting further analysis to assess these trends and explore the reasons behind them. Calcutta Kids is not involved in the childbirth process for our beneficiaries and we cannot directly affect any decisions made once a woman has been admitted to the facility, so we do not have any control over C-section rates among our beneficiaries. However, we can take advantage of opportunities during pregnancy to raise awareness about birth preparedness and help a woman understand what she can expect at the facility, including what decisions will be made once the birth process has begun. Mode of Delivery Is Associated With Asthma and Allergy Occurrences in Children. Muhammad T.Salam, MBBS, MS, Helene G. Margolis, PhD, Rob McConnell, MD, James A. McGregor, MD, Edward Avol, MS, Frank D. Gilliland, MD, PhD. Annals of Epidemiology, Volume 16, Issue 5, May 2006; 341–346. Caesarean delivery rates and pregnancy outcomes: the 2005 WHO global survey on maternal and perinatal health in Latin America. José Villar, Eliette Valladares, Daniel Wojdyla, Nelly Zavaleta, Guillermo Carroli, Alejandro Velazco, Archana Shah, Liana Campodónico, Vicente Bataglia, Anibal Faundes, Ana Langer, Alberto Narváez, Allan Donner, Mariana Romero, Sofi a Reynoso, Karla Simônia de Pádua, Daniel Giordano, Marius Kublickas, Arnaldo Acosta, for the WHO 2005 global survey on maternal and perinatal health research group. Lancet 2006; 367: 1819–29. Method of delivery and pregnancy outcomes in Asia: the WHO global survey on maternal and perinatal health 2007–08. Pisake Lumbiganon, Malinee Laopaiboon, A Metin Gülmezoglu, João Paulo Souza, Surasak Taneepanichskul, Pang Ruyan,Deepika Eranjanie Attygalle, Naveen Shrestha, Rintaro Mori, Nguyen Duc Hinh, Hoang Thi Bang, Tung Rathavy, Kang Chuyun, Kannitha Cheang, Mario Festin, Venus Udomprasertgul, Maria Julieta V Germar, Gao Yanqiu, Malabika Roy, Guillermo Carroli, Katherine Ba-Thike, Ekaterina Filatova, José Villar, for the World Health Organization Global Survey on Maternal and Perinatal Health Research Group. Lancet 2010; 375: 490–99. The Role of Nonclinical Factors in Cesarean Section Rates in Brazil. Kristine Hopkins and Ernesto Amaral. Population Research Center, University of Texas at Austin. Levels and Trends in Caesarean Births: Cause for Concern? Sancheeta Ghosh, K S James. Economic & Political Weekly January 30, 2010 vol xlv no 5. Telegraph article: To C or not to C? 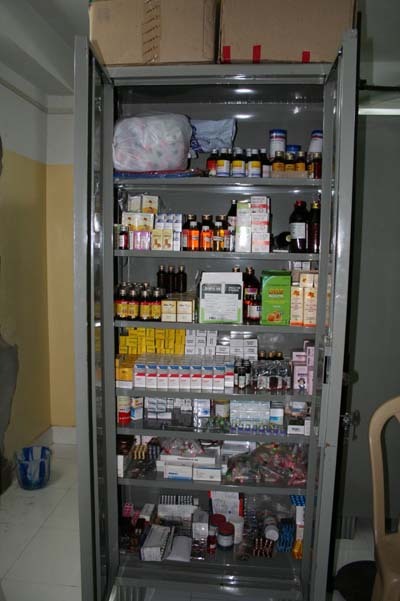 Over-prescription of medication is a challenge faced by any public health organization in India. In Fakir Bagan, mothers expect that they will receive at least three medicines including at least one antibiotic for most illnesses, no matter how mild the complaint may be. There is likely to be a relationship between the pharmaceutical company and the doctor, and therefore it is mutually beneficial to prescribe as many medications as possible. Because this system has been in place for many years, a mother is now unsatisfied if she visits a doctor and does not receive an antibiotic for her child’s runny nose. These are obviously generalizations, but the challenge of minimizing the role of unnecessary medicines looms large. We have been working with several doctors and public health professionals to narrow the list of CK’s regularly stocked medicines, and to make sure only necessary prescriptions are issued. Calcutta Kids is committed to the collection and use of data in order to provide beneficiaries with the most effective and efficient services and care possible. We now have electronic data on women and children dating from November 2009, and have been working hard to not simply collect data, but be an organization that uses our data effectively. We have been particularly pleased with our use of data relating to immunizations. In earlier years, the name of each child and the immunization he or she received was simply recorded in a notebook. One of our volunteers spent three weeks sorting out the immunization history and requirements for each child. We now have a protocol followed during each immunization session including protocol for recording information directly into the database. Each week, we are able to print out an accurate list of children that are due for immunizations. This list takes into account the age of each child and the previous immunization history, to assure that 1) no child is getting an immunization before he or she is ready; 2) no child is getting a second or third dose too close to the previous dose; and 3) no child is having an immunization after he or she has passed the age when the immunization is viable. No one falls through the cracks! A second example is the database used at the Calcutta Kids Diarrhea Treatment Center, which not only helps with tracking individual patient data and center level indicators and statistics, but actually helps with the clinical patient care. The CKDTC database automatically calculates the level of dehydration of each patient based on WHO guidelines, and the weight-for-age z-score (a measure of underweight). The database alerts staff when a patient is in need of a check-up or when other action is needed. While we currently have local databases, we hope in the future, with help from the Jolkona Foundation, to move to a web-based system that will allow for multi-user input and extraction from separate locations.